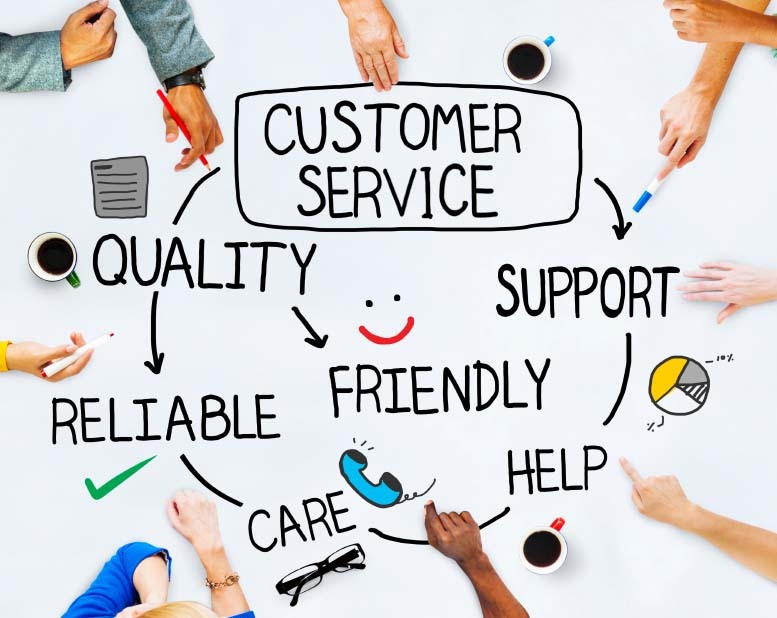 Home / What makes good customer service? Communication is key to running any business, whether successful or not and although sometimes it can be hard knowing which communication is appropriate, it is a core strength to your business. When communicating with customers there are certain rules to the conversation just as with anyone else. The most significant thing about running a business is keeping the consistency of it and what the brand message defines, if your service is poor towards your customers then you run a high risk of the reputation going down which could also drag your business along with it. A conversation runs two ways – talking and listening, it is co-operating with words. When having a conversation with someone it is important that when they are talking you listen to what the other party is saying if you don’t listen then you run several mistakes, one messing something up. Two, not being able to answer a question they may ask and thirdly, embarrassing yourself and the business. Don’t let the customer think they are a blank wall, because they are the reason your business stays afloat. Conversations are like games, you have to wait your turn and if you don’t you will look rude and overpowering, again linking back to listening you must know when it’s your time to start talking, regardless of who is leading, you must wait until it is ready to respond. This also relates to dictating, again something which is not ideal when promoting your business to the public. If you find yourself talking at the customer rather than to them then you need to quickly stop and turn it around. A very popular pet hate while communicating is when the other person begins overpowering and talking over the other, so avoid it at all costs. If you realise that you have made a mistake with a customer, for example sold the wrong item to them, then you must try and fix it before they know – why? Because this is loyal and good customer service, you want to save this from turning into a complaint so by being honest you can turn potential criticism into a positive review of honest customer service increasing an upbeat brand awareness! In many cases your body language can say more than your words do, so it is very important that you are aware of how you’re presenting yourself. For example, shrugged shoulders and folded arms portray a negative vibe which in front of a customer is not something you want to present. It is recommended to look comfortable when in conversation, lean forward as if you are really engaging with the other person. If you find that you are struggling with your communication skills, then during your free time you should practice with friends and family or even colleagues – why? Because the more you do it the more natural it becomes to you and then it will feel like second nature which means the brand message you are sending out is consistent and friendly, not forced and cynical. Who’s afraid of the big bad bridge?